Our success stories continue! 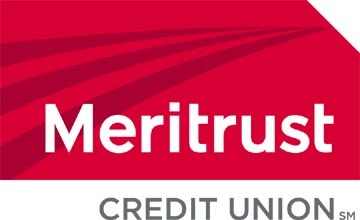 Meritrust Credit Union, one of our favorite Midwestern clients, recently received a state-sanctioned award for their innovative approach to health promotion within their 14 regional branches. Along with IMA of Kansas and Cessna Aircraft Co., Meritrust was named a 2011 Working Well Award Recipient by the Health and Wellness Coalition of Wichita. Congrats to Meritrust for this honorable award and kudos to Wichita’s Health and Wellness Coalition for recognizing the dynamic, incentive-based program we have worked hard to provide over the past year. The 220-person company boasts a plethora of wellness activities, ranging from onsite lunch and learns and health coaching to blood drives and flu shots. Every quarter, a “wellness warrior” is identified from within the pool of employees and these efforts and successes serve as motivation for coworkers. The Meritrust wellness program is one of our more comprehensive projects. Our client looks to Wellness Corporate Solutions for guidance and innovative ideas and their dedicated program manager works tirelessly to maximize engagement and keep employees happily healthy. Congratulations Meritrust for all your hard work!